Ok folks, here’s another must-see FMRL Arts show. Paul Metzger is a Minneapolis-based guitar, banjo, violin, and anything-with-strings improviser and instrument maker. Hearing him perform on his modified string instruments is, as FMRL Arts’ says on the Facebook event page, “nothing short of sublime.” Tim Kaiser is a Duluth-based instrument maker, circuit bender, and ambient experimental musician. He last passed through Nashville for the 2014 Circuit Benders’ Ball. Paul and Tim are two of the most creative musicians on the scene, and the opportunities to see them together are rare. The only time they played Nashville on the same bill (that I know of) was a 2012 performance at Noa Noa house on Halloween night. That was one of my favorite shows of my life. Don’t miss this one! Show starts at 8 p.m. Tickets are $10 at door or $8 in advance at FMRLArts.org. Check out the videos below for good introductions to their work. Chris Davis and Tate Eskew’s experimental arts organization FMRL Arts recently announced their fall lineup, and it’s spectacular. The season kicks off with Michael Chapman and William Tyler on Monday, September 29th. Shows in October and November feature Lakha Khan, Paul Metzger, Tim Kaiser, and “Italian occult psychedelia” band Father Murphy. All shows take place at Emma Bistro located at 11 Lea Avenue, Nashville, TN 37210. Here’s the schedule so far. Check out FMRLArts.org for more info. September 29th, 2014, 8 p.m.
October 10th, 2014, 9 p.m.
October 26th, 2014, 8 p.m.
November 13th, 2014, 8 p.m.
Here’s a fantastic lineup coming to Nashville on Halloween night: Paul Metzger, Tim Kaiser, and Robbie Lynn Hunsinger. This is going down at 7pm sharp at Noa Noa (house), 620 Hamilton Avenue, Nashville, TN 37203. This is an early show, so you’ll still have time for Halloween parties, haunted houses, etc. Minneapolis’ Paul Metzger hears sounds conventional string instruments can’t fully realize, so he modifies instruments to suit his needs. 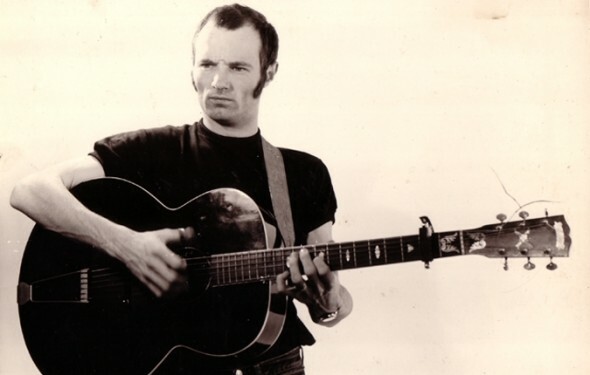 You’ll often see Paul performing on a modified banjo or guitar with sympathetic strings added, or more recently on electro-organic conflaborations like an optical Theremin gourd. Paul is considered one of the finest American instrumentalists alive today, and rare is the opportunity to see him perform in the South. Do not miss this for anything! 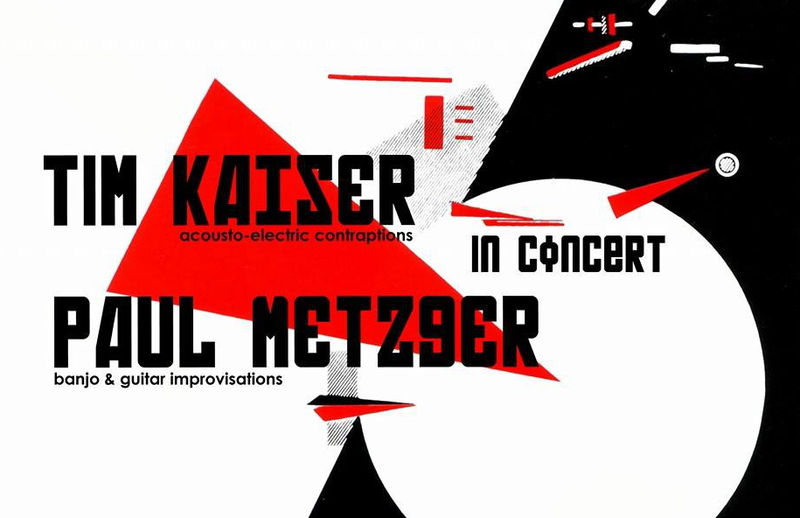 ISSUE @ 110 Livingston: Jozef van Wissem (Paul Metzger excerpt) from Damian Calvo on Vimeo. Duluth’s Tim Kaiser makes custom acoustic and electronic instruments out of material he finds at salvage yards, thrift stores, and yard sales. 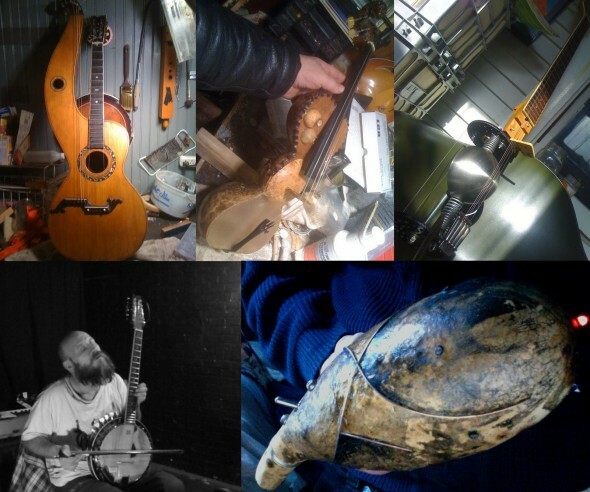 He comes up with incredibly elegant ideas like using metal leaf rake tines and an electrical ground bar to make custom kalimbas and snowmobile drive-track gears as circular bridges for electric khotos and other bowed string instruments. But he doesn’t rest on the laurels of cool sounding (and looking) instruments. The best part is the ambient experimental music itself: intricate, melodic, and breathtaking. He is the modern day Harry Partch. Nashville by way of Chicago’s Robbie Lynn Hunsinger is a classically trained oboist and new media artist who combines acoustic music and technology to make innovative art. She most recently played to a packed house at this year’s Soundcrawl. 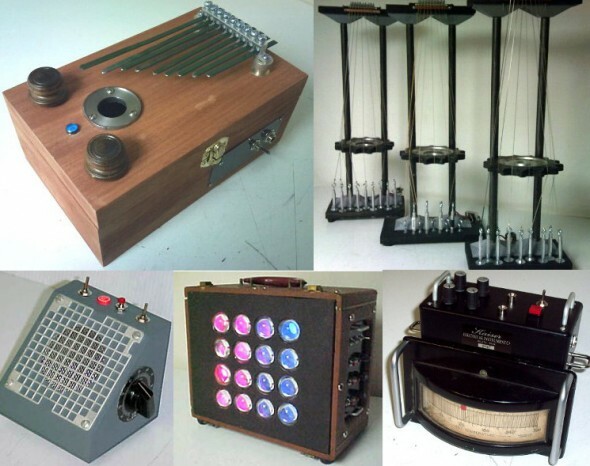 Her experiments include dueting with an Arduino controlled vibrating motor attached to a snare drum, using a hacked Xbox Kinect to control visuals and sound effect parameters, and conducting a Wii-mote armed audience in an interactive visual symphony. I’ve been talking with Robbie about the Halloween show, and I can tell you that she has some VERY cool things planned. Microphone controlled multimedia performance “Bees” from Robbie Lynn Hunsinger on Vimeo. Duet for Arduino & Soprano Sax from Robbie Lynn Hunsinger on Vimeo. 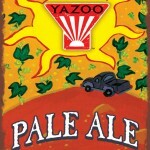 Update: Yazoo Brewing Company has very generously donated their beer for the event. Bottles of Pale Ale will be available for those over 21 for a small donation to the bands. Very special thanks to Chris Davis for facilitating this and for helping organize / promote this show. This is an early show that will start promptly at 7pm. Music ends around 9:30pm. Park on street or in surrounding business lots. Come casual or costumed. We’ll accept you either way.